If you have ever wanted your own geodesic dome, now is your chance. 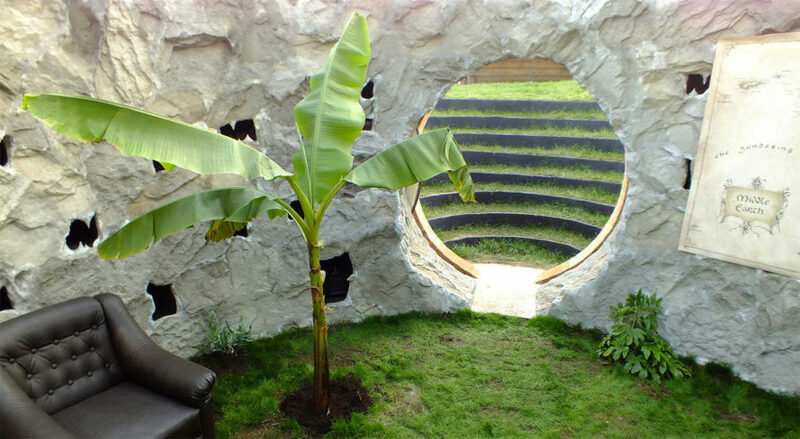 Biodome Systems SRL in Romania sell 20 different models of geodesic domes that can be custom-sized depending on your needs. Each comes with a metal frame and stone walls that boast superior thermal massing for cold winter days, and small grass steps outside emanate a serious hobbit vibe. But most importantly, they are safe - for you, even in extreme weather conditions, and for the environment. Geodesic domes also boast a series of environmental benefits. “The spherical design results in highly efficient and effective air circulation in both summer and winter,” according to the company. With a lower surface area than conventional homes, domes are also “less susceptible to temperature changes,” making them cheaper to heat and cool. And because their shape mirrors the sun’s path, they benefit from significant natural lighting and solar gain throughout the day – a plus in winter. In summer, magnetic shades reduce thermal loads. 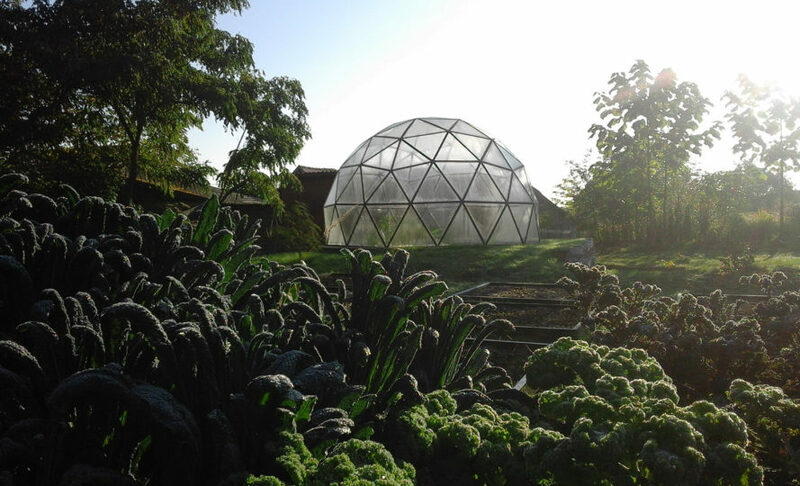 These domes are incredibly versatile – they can be used as a greenhouse, an eco-home, as a recreational space, indoor pool or even an observatory. The images in the gallery depict the Pollux model which is 16-feet in diameter and 8-feet tall. For now the company is restricted to European installations, but it might be worth contacting them if you’re outside of Europe – maybe they can offer you some ideas if this is the way you want to go. The dome homes come with stone walls that retain heat during winter. 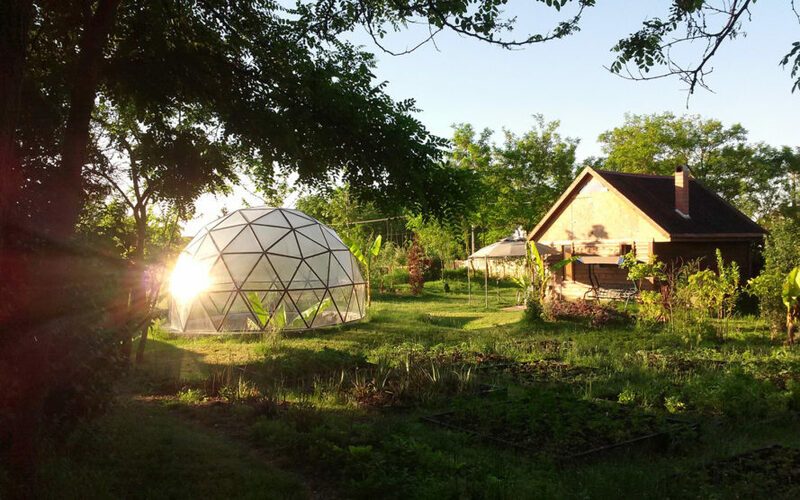 The dome can be used as a small home, a greenhouse, a recreational space and more. Grass-covered geodesic dome home from Romania. Geodesic domes boast a suite of environmental benefits, including solar gain and superior ventilation. "Geodesic domes are extremely strong for their weight due to their omni triangulated surface that provides an inherently stable structure," according to Remus Gall, the lead project manager at Biodomes. The company adds that their domes have "a natural resistance to external factors like earthquakes up to 8.5 on the Richter scale, winds up to 320 km/h due to the aerodynamic shape and loads up to 20 tonnes per point of structure."